of leaky pipe, supply pipe, timer (with pressure regulators) and connectors. For the person who wants to put a "Two-Zone" automatic watering system together, really quickly! This 400metre combo kit is tailored for an application that may use 300-700metres of leaky pipe. So there is scope to add more later, should you wish. 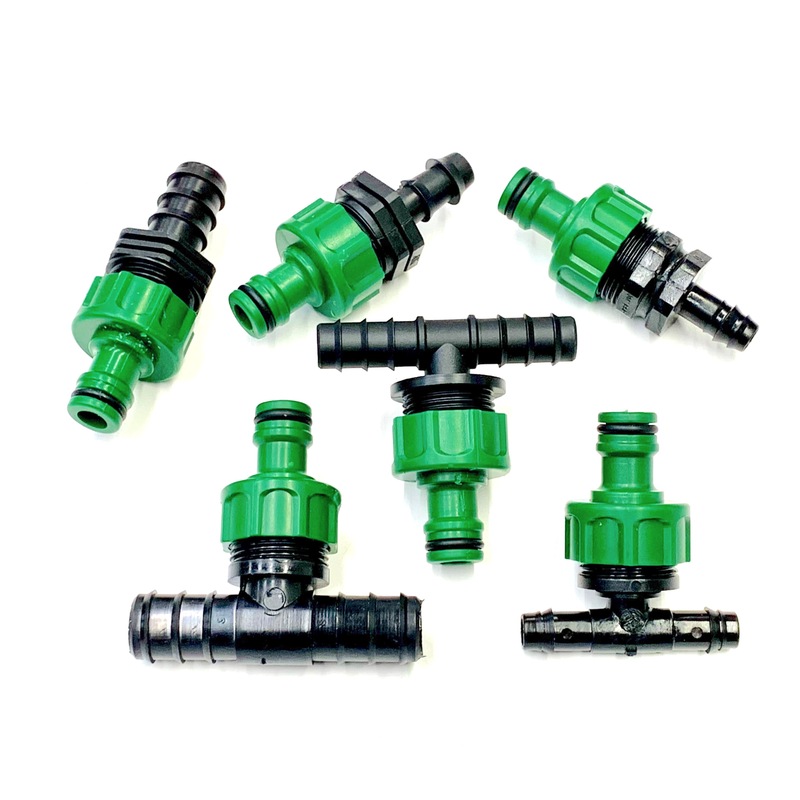 This garden porous hose kit uses LP12H leaky pipe, which is designed to be ideal for general purpose watering. This LeakyPipe all-inclusive combination kit is specifically manufactured by us to work on top of the ground, if you wish, as well as sub-mulch, working up to 50metres from the barbed connections. It has proven to last in excess of ten years. Leaky Pipe's garden porous hose kit is ideal for watering beds and borders, planters, trees and hedgelines (up to 50metres long). There is a 20mm supply pipe for good, efficient water movement and less pressure drop through your distribution network. Moreover, we have put pressure regulators on the Buddy2 zone timer for you. - 5 of 12-12 connectors. (To connect Leaky-Leaky). You may also be interested in discovering our full range of Leaky Pipe Watering Kits & Leaky Pipe Porous Hoses. How to use Leaky Pipe's all-inclusive Garden Hose Kit? 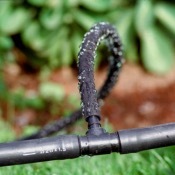 Leaky Pipe's Garden Hose Kit works by wicking water into the soil it contacts and therefore works best if hoed into the topsoil or "on-the-surface" & covered by mulch. A typical domestic water source is usually capable of charging 2-300metres of leaky pipe at one time. So you can do a surprising large area of discreet watering with very little effort. With this Buddy2 timer, you can run two separate areas, (or groups of areas), for differing amounts of time. By sequencing your watering, you can make bigger & better use of your water source. 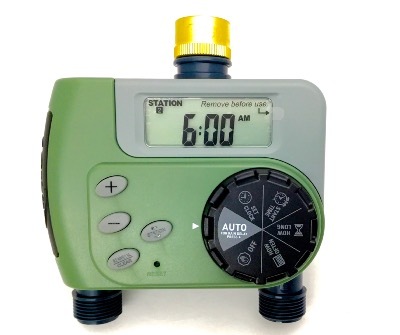 As the water supply varies in it's delivery pressure and also your Leaky Pipe use may vary, the pressure regulator will self-tune the downstream pressure, so the network does not over-pressurise. You can just leave the tap fully on and not have to throttle the tap or worry when your away. (N.B. During the last Hosepipe Bans, some authorities have allowed leaky pipe use if used with a timer and pressure regulator). Just a guide. In the growing season, 30-60minutes of watering per day is a good starting setting for your timer. Then tune it to your needs.